Hi ya’ll! First time ever going to one of these events I have some questions, please forgive my ignorance. So, since I am going with my husband and he is just not into pin trading, how does admission into the event work? I am obviously purchasing the pin package ahead of the RSP end date but for my husband to wander around the event with me, does he require that package as well or can he register but not click on that add-on and be allowed in? TIA! In order to “hang out” at the event you will need to pay for the package. It’s not the worst thing in the world. You will get double the event pins and can use them to trade with others if they may possibly want doubles. Or find someone to sell them to that isn’t/can’t go to the event. I’d imagine you may be able to find someone on this forum that would be willing to pay the $135 for the event pins. Plus you’d get double trade tickets for the boards. I just found out about this event. I am coming in that Saturday morning. I land at 8:30am so I figure that I won’t get to the park until 10:30. Would it be worth it for 3/4 of a day? What are the chances of some of the limited edition pins still left? Also what is the trading board games? Thanks for the advice. This is a tough one. As far as getting the pins you will have the same chance as anyone to get them. They are purchased before the event even starts through a random selection process. Where essentially you put the pins that you want to buy on a prioritized list. You will also get all the other gift pins for attending the event. The only thing you will miss out on is the trade board vouchers. You get 4 trades on the boards per day so you would miss out on half of them. If you’re ok with losing out on those 4 trades I’d say it’s worth it to just be there the one day. If the cast members are nice they may allow you to use them from the previous day too but I couldn’t guarantee that. 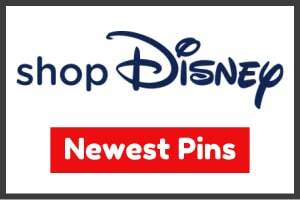 I believe the only official “rules” they have for the pins you trade on the boards are that the pin has some sort of Disney property on it and that it is a pin. Not a button or anything of that nature. Not sure if you guys saw but the event is SOLD OUT now! There is a waiting list for anyone still wanting to go. When trading on the pins boards do the cast members put the pins they get from guest on the board, what are the chances of getting fake pins? Yes, pinqueen1125. The pins that people trade at the board are put back on the board. I haven’t ever gotten a scrapper but I have heard through the grapevine that if you do, they allow you to trade it in for a real one. @pinqueen1125 I can confirm that if you think you get a fake you can request Disney to “test” it and they will verify it behind scenes to if is an actual fake or not and actually give you a little insight into the pin if it is real. However, that was last year and we all know things change year by year. This is from the “Know Before You Go” email. Be advised that due to construction, parking is limited at Disney’s Coronado Springs Resort, so please travel with fellow artists-in-training if at all possible. Please remember that all Guests, including children, must register in person, and all Guests 18 & over will need to present a government-issued photo ID and proof of discount to pick up their event packets. Only Guests listed as checking in on Thursday, August 23 will have their merchandise available at Disney’s Coronado Springs Resort. Guests that have selected later dates will not have their merchandise at the resort. There will be a Pin Trading Area in Veracruz B from 10:00 am to 7:00 pm for ticketed Event Guests only. Guests must wear their credential when trading in this area. Because the event begins after Park open, all Guests, both ticketed Event Guests and Park day Guests, will enter through the touchpoints at Epcot at the same time. Event Guests will be lined up in the order that they arrive to ensure fairness. Guests with breakfast reservations in the Park may join the end of the entry line once they are finished with their dining experience. We regret that we cannot hold a place in line for these Guests. Folding chairs, dancing brooms, mine trains, magic wands, golf clubs, fishing rods, coat racks, multi-plane cameras, film reels, etc. Upon entering the park, all Guests will be subject to screening/security checks which may include, but is not limited to, metal detector screenings. 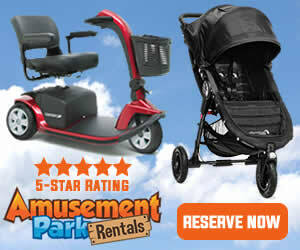 For a complete list of Walt Disney World Resort park rules click HERE. Due to space limitations in World ShowPlace, each attendee may bring ONE trading bag up to 24″ x 15″ x 18″ (61 x 38 x 46 cm) in size into the venue. To keep a fair trading environment for all ticketed Event Guests, we will be implementing space limits in the Pin Trading Area. Guests may occupy the space directly in front of their chair and the chair across from them. Please be courteous to other Event Guests wanting to trade at the tables by adhering to these space limits. This year, we will provide a tent card in your registration packet with your name on it. If you need to leave the trading table, your tent card must be placed on your space so we know who those pins belong to. By choosing to leave a trading table, you are assuming all risk as we cannot be responsible for any lost or stolen pins or personal items. Please note these space restrictions and plan accordingly when deciding what pins to bring with you. Aisles between tables must be kept clear so as not to create tripping hazards or other safety concerns. Remember that only one trading bag is allowed per Guest in the venue. Each Guest’s credential has four Pin Trading Tabs for Friday and four Pin Trading Tabs for Saturday. 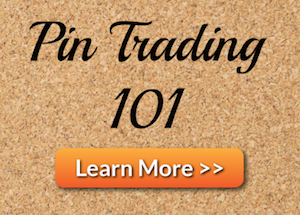 Each Pin Trading Tab will allow you to trade up to two pins within a 60 second trading time, and must be used by 5:00 p.m. on the date listed. 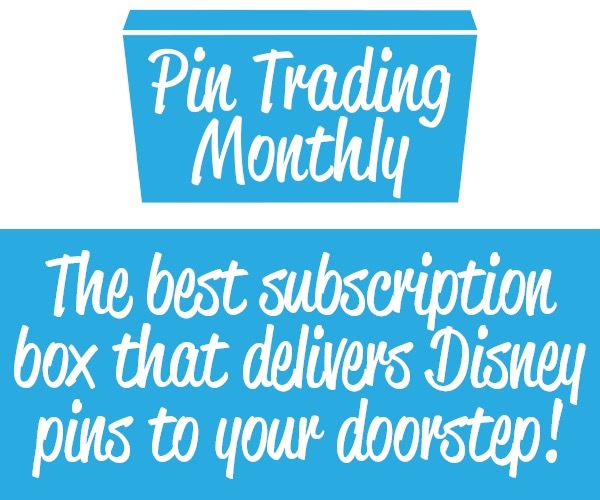 Only one Pin Trading Tab may be redeemed per time in line, no exceptions. To keep a fair trading environment, please take your turn as soon as you are able and do not wait for the boards to be refreshed. Guests doing so will forfeit their turn and will be asked to move to the back of the line. Additionally, once the timer begins and the Guest views the pins on the board, they must turn in a Pin Trading Tab, even if they decide not to trade a pin.